Why Should You Start Blogging as a Student? As a busy student, I’m sure you’re probably trying to keep up with your classes, struggling to maintain a high GPA, and of course, trying to have some fun. What you’re probably not thinking about very much right now is blogging. A lot of people wrongly think that blogging is old school, but when I’m talking about blogging, what I’m really talking about is building an online platform or an online brand. It’s never been easier in history to make money online, last year I made money 19 different ways on this blog, but to get any of the benefits you have to first start a blog. 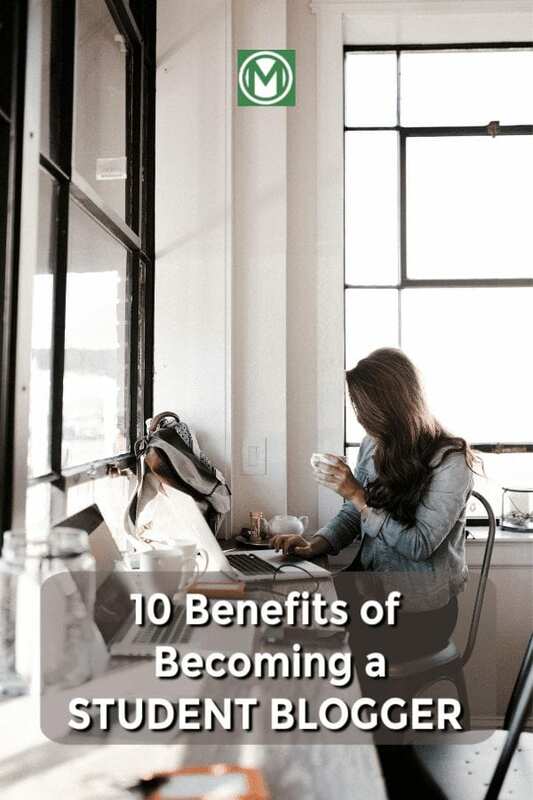 Today, I want to share ten reasons why you, no matter what your future plans are, you should start building and growing a blog. Seriously, it can not only help you make money blogging, but it could seriously change you life. It’s definitely changed mine. 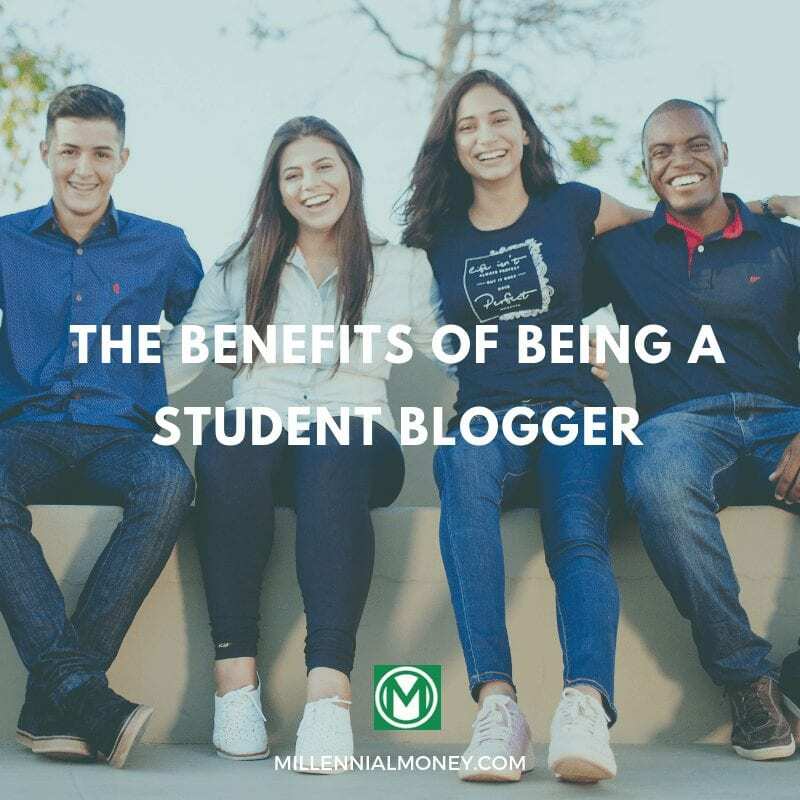 Here are some of the biggest benefits of being a student blogger. Oh and btw, I’ve also created a free 7 day blogging email course you should check out. One of the key benefits of keeping a blog is that it provides a way to both escape the craziness of the real world and take the time to connect with your inner voice. By sitting down and writing out your thoughts and feelings, things naturally start to make more sense to you. Over time, the act of writing has helped me not only connect with an audience, but also better connect with myself and my own thoughts. It’s helped me grow. And the best part about it – you can write about whatever interests you. While I recommend in my free blogging course that you pick a specific topic or niche to write about, it’s okay to write about a lot of different topics when you are just starting out. The key is to start (and keep) writing. Most new bloggers stop within the first six months, so consistency is the key. Many students quickly get bored with mundane topics. Many even farm out essays and term papers to writing services to avoid the boredom. But blogging is much more free-form. It allows you to present material in a much less formal way. Since you aren’t getting a grade for it, you can be yourself. Also, keep in mind that there is an audience for any subject. 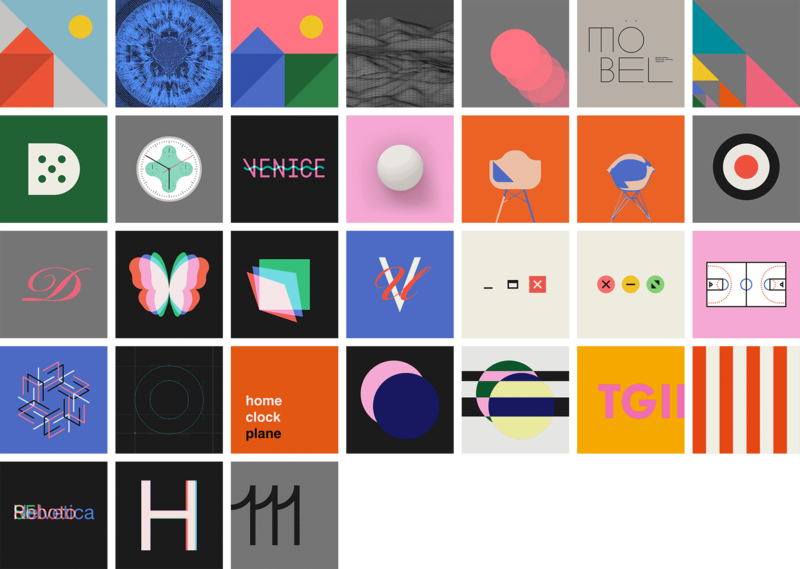 Just google anything – no matter how outlandish – and you will likely discover that there is, in fact, a blog for it. If you find a particular subject interesting, don’t worry about how big your audience is (at least not initially) and start writing. The primary content of any blog is, of course, words. The more words you know, the more meaningful your content will be. If you find yourself repeating words and phrases in your writing, you can use an online thesaurus to discover synonyms you might never have thought to use otherwise. The more words you learn, the easier it will be write and connect with your audience. It also showcases your intelligence and builds trust in your message from your readers. An added benefit – you’ll learn a bunch of new words. The world needs to hear from you seriously. We are all hum and craving connections. There are people out there who want to connect with, learn from, and help. Two of the primary goals of blogging are creating connections and problem-solving. This is particularly useful in the marketing world since problems (often referred to as “pain points”) are the basis for most marketing initiatives. The existence of almost every product and service is predicated on a particular problem it was developed to solve. 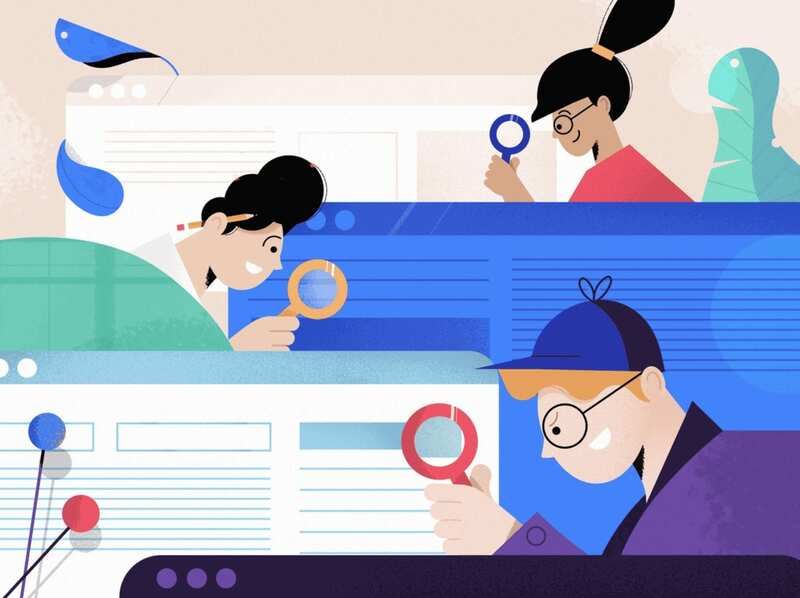 If you are a problem-solver by nature, or if you think you have some good advice that will help people solve nagging problems in their lives, student blogging could be right for you. “How To…” articles are perennially popular, especially if you possess skills that appeal to specific people groups or niches. Vegging out on the couch watching Netflix of scrolling Instragram will do little to stimulate your brain (even if you’re paying attention to the story). If you feel like your thought life could use a bit of defogging, writing is one of the most useful exercises for getting there. Your brain, like every other part of your body, requires exercise to keep it healthy. Transferring your thoughts onto paper (virtual though it may be) is one way to make sure your brain doesn’t sit idle for too long. This is especially important if you are a full-time student (and part time student blogger!). The more you write, the more you’ll make connection in the world and in your life. The more you’ll grow. Yes, you need to take a brain break once in a while, but a lazy lifestyle will give you a lazy brain. Discipline yourself to spend a certain amount of time updating your blog whether you decide to do it daily or not. You should visit your blog at least a few times a week and commit to posting something new at least weekly. You can always reward yourself with a little downtime after. Blogging gives you a unique voice. It presents you with the opportunity to write something that matters to you and showcases your unique take on a given subject. Remember, no two people approach the same subject from precisely the same perspective. You have an opportunity here to add a new dimension to your favorite item and give your readers something valuable to take away from your thoughts on it. Never, ever undervalue your own opinions. People don’t have to agree with you to find your views interesting. No matter how much you think you know about your chosen subject area, there is always more to learn about it and about yourself. Once you get into the rhythm of updating your blog regularly, you might find it hard to come up with new subjects on your own. The smart blogger uses these moments of writer’s block to expand his or her understanding of their topic and how they relate to the world around them. If all your posts seem to gravitate toward one concept, start looking at your subject from different angles and begin researching details for further jobs. And start asking your readers what they’d like to know or get your opinion on. This will also help you in your school work by helping you get better at doing research and organizing your thoughts in the form of the written word. It is one of those serendipitous advantages that can write on anything – even dull academic subjects – easier. Writing a blog as a student will also give you some basic technical skill. Luckily online blog software is easy to use, but over time you will learn skills such as search engine optimization (SEO). Being a student blogger can make you a lot of money. Here’s how much money bloggers make. Whether you decide to use blogging as a primary or secondary source of income, the opportunities that exist in this arena are many, and the pay can be very, very good. There are numerous online articles and courses geared toward teaching aspiring student bloggers how to earn money with their words. With the cost of education increasing exponentially, it’s always a good idea to have a fall-back skill you can use to generate income. Join the Free 7 Day Blogging Side Hustle email course today! But definitely be cautious of websites that promise results that seem unrealistic or require you to pay into an established program to start your blog. Starting a blog is cheap and easy. If you decide to monetize yours, you don’t need to put much money down. You can start a blog for as little as $2.95 a month. If you know how to work social media, however, you have the tools and potential audience necessary to build a massive following with little to no investment of money on your part. You can check out this article and others like it to learn more about monetizing your blog. The ability to write with authority is something that can earn you the respect of your peers, solidify your following, and help you land paid advertisers or brand sponsorships. If you stick with information that is practical and get into the habit of backing up your claims with verifiable and trustworthy sources, you will quickly start being viewed as an authority on the topic. This will also help you connect with the media to build your brand. People follow blogs from bloggers they trust. It’s all about human connection. They also share gret content with their friends. The more you position yourself as an authority, the more people want to know what you think on a given subject and the more money you’ll make blogging. You could even start being referenced as a thought leader in your field which can also help you find a job when you’re done with school. So just start a blog and keep writing. If you commit to consistently creating and writing content, it helps in numerous ways, not the least of which is how you manage your time. This is especially true if you’ve started making some money with your blog. You’ll want to keep writing, but you will also still need to maintain balance in your academic life. That means you will need to do a little planning and strategizing. Especially if you want to have the time to devote to all the things that make up your day. You will need time to study, attend classes, and occasionally have some social (or even alone) time. All while maintaining your blog! 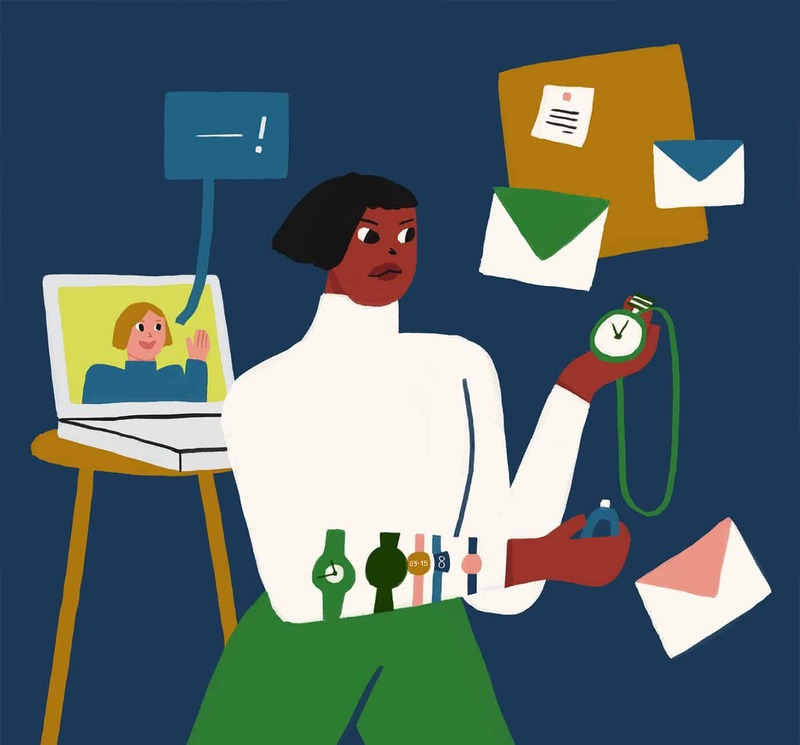 We’re not saying it will be easy, but it is workable, especially when you take advantage of some of the online academic help that exists to lighten the load. There is no better way to retain the things you learn than to turn around and share that knowledge with others. Remember, your perspective on a given subject can be just the thing that someone needs to see it with greater clarity. Treat your blog as a teaching tool and develop content that promotes learning. You can literally change people lives. There is nothing better than helping someone learn and live a better life. Trust me, that first email you get from a reader when they thank you for helping them will feel great. The simple formula is write about what you’re passionate about and keep at it. Seriously, no matter how old you are, the earlier you start the sooner you can make money blogger, form connections with others who are interested in similar topics, and start changing lives. Start writing and keep at it. Trust me, it will all be worth it. The above list represents just a sampling of reasons why every student should keep a blog. Which ones speak most clearly to you? What would your reason or reasons be to start a blog? Do you want to learn more about a given subject? Share what you already know about it with the world? Do you want to meet more people with the same quirky interests as you? Do you want to make money with your words? This blog has literally changed my life over the past few years. It’s allowed me to travel around the world, get a book deal, connect with readers from all walks of life. Oh yeah, and make over $1 million blogging! I couldn’t imagine my life without blogging and now I’m fortunate I get to do it full-time. If only I has started sooner as a student blogger! Over the past year written extensively about how to make money blogging and how much money bloggers make and 6,400 people have taken my Free 7 Day Blogging Side Hustle email course. Happy writing. Let me know when you launch your blog! I can’t wait to see it. Mary K contributed research to this article. She’s is a freelance writer and experienced content distributor interested in e-learning and management. You can find her articles are featured at EssayPro.com, ThoughtCatalog.com, DigitalDought.com. Free Webinar: Part Time to Full Time Blogger What We Teach High Schoolers About Student Loans Money & Blogging as Meditation The Lowest Student Loan Refinance Rates in the Game? Thank for the cool post, agree with that lazy lifestyle will give you a lazy brain. Great post! I wrote a similar post the other day on why the world needs more bloggers. It causes you to be a deeper thinker for sure! I never considered myself creative until I found blogging! If only it were in college.